Click the image above to download pdf version of the catalog. Please be patient the file is large (5.3 mb). 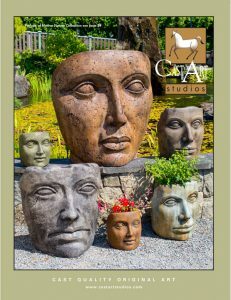 Castart Studios is an innovative manufacturer of original designs in garden statuary, ornaments, sculpture, birdbaths, fountains, benches, lanterns, planters, and our popular face collection. We create modern interpretations of classic designs and unique originals and continually innovate with new designs being created on an ongoing basis. We have themed collections that include: Ancient World, Buddhism / Eastern / Asian, Butterfly, Classics, Dragonfly, Frogs, Gargoyle / Mythological, Hummingbird, and Turtles / Fish / Otters. Our products are sold through independent garden centres, nurseries, garden gift stores and home décor stores. Castart Studios CAST Quality. Original ART. Our exclusive concrete blends are durable and weather worthy, built to stand cold Canadian winters. Each piece is hand finished in one of four natural colours: Ancient Stone, Basalt Grey, Western Slate or York Stone. We have also developed a special blend of that is durable yet lighter than regular concrete allowing us to design and produce much larger but manageable pieces. 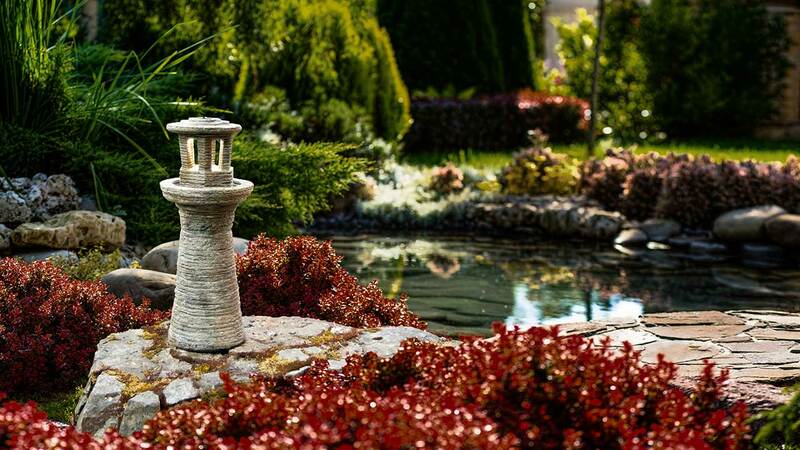 Our top-quality concrete can stay outside all year round (with the exception of items that collect water; birdbath bowls, fountains etc., we recommend covering, inverting or taking in these particular items in the winter). Our products have been exposed to the harsh conditions of the Canadian prairie winter for many years now, without significant problems. 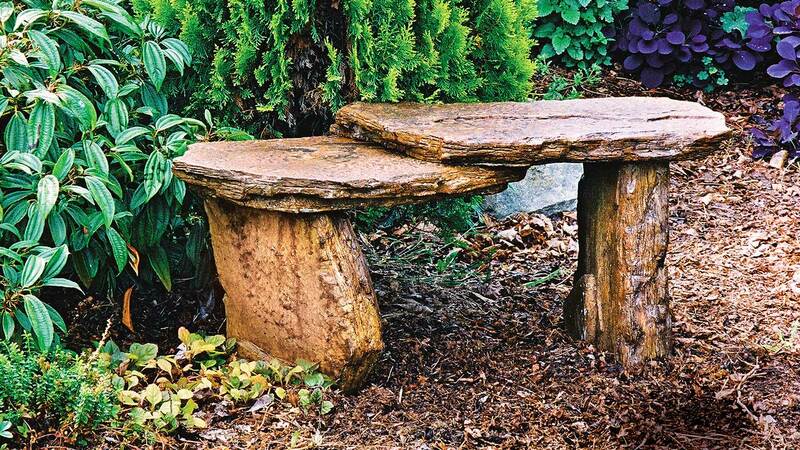 There are two benches and a birdbath in this matching collection of fossil themed garden décor items. The Hanging Wide Mouth Bass is manufactured using our ‘lay-up’ technique, which allows us to produce a larger impressive garden piece that is not unmanageable to hang Perfect for the fisherman. In this stunning piece, master sculptor Klaus Kinast presents his interpretation of the Queen of the Garden. 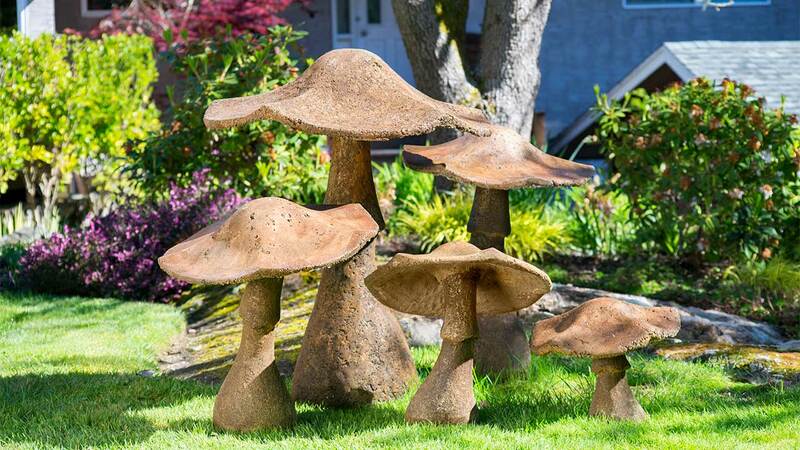 Flawless in beauty and with an elegant elongated neck, Hortus Reginae will proudly rule over your garden space. Use her as a planter, pedestal or birdbath. She looks particularly regal adorned with the flowering appendices of a cascading plant, substituting for hair. 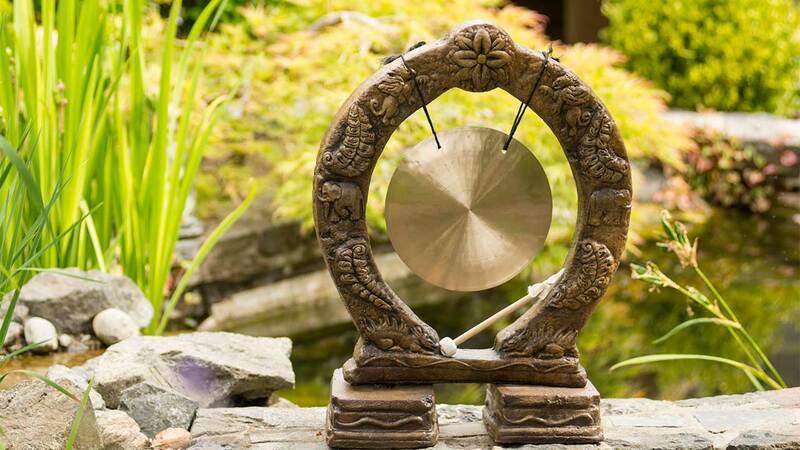 The Nameste Temple Buddha is a large peaceful Buddha that is peacefully posed in the classic namaste greeting position. Can be left outside year-round.